There are a lot of misconceptions about the Common Core State Standards. 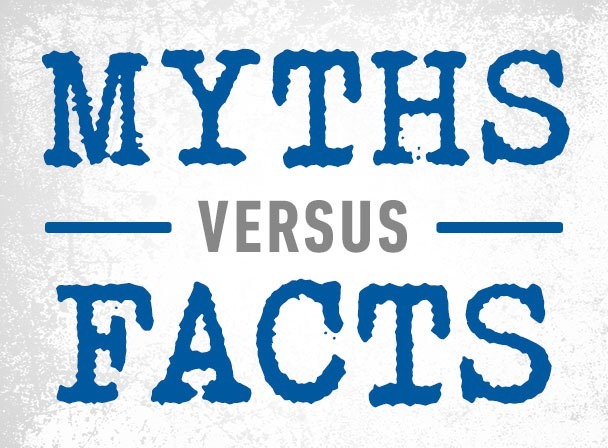 Below are some common myths about the Common Core and facts that should be considered. Myth #1 Common Core (CC) was a state-led initiative. Fact . The CC standards were initiated by private interests in Washington, DC, without any representation from the states. Eventually the creators realized the need to present a façade of state involvement and therefore enlisted the National Governors Association (NGA) (a trade association that doesn’t include all governors) and the Council of Chief State School Officers (CCSSO), another DC-based trade association. Neither of these groups had a grant of authority from any particular state or states to write the standards. The bulk of the creative work was done by Achieve, Inc., a DC-based nonprofit that includes many progressive education reformers who have been advocating national standards and curriculum for decades. Massive funding for all this came from private interests such as the Gates Foundation. Myth #2 The federal government is not involved in the Common Core scheme. Fact . The US Department of Education (USED) was deeply involved in the meetings that led to creation of Common Core. Moreover, it has poured hundreds of millions of dollars into the two consortia that are creating the national tests that will align with CC. USED is acting as the enforcer to herd states into the scheme (see next myth). Myth #3 States that adopted CC did so voluntarily, without federal coercion. Myth #4 Under Common Core, the states will still control their standards. Myth #5 Common Core is only a set of standards, not curriculum; states will still control their curriculum. Fact . The point of standards is to drive curriculum. Ultimately, all the CC states will be teaching pretty much the same curriculum. In fact, the testing consortia being funded by USED admitted in their grant applications that they would use the money to develop curriculum models. Fact . Even the Fordham Institute, a proponent of CC, admits that several states had standards superior to CC and that many states had standards at least as good. CC has been described as a “race to the middle.” And as admitted by one drafter of the CC math standards, CC is designed to prepare students for a nonselective two-year community college, not a four-year university. Myth #8 We need common standards to be able to compare our students’ performance to that of students in other states. Myth #9 We need common standards to help students who move from state to state. « Iowa Cost to Implement Common Core State Standards?